LANSING, Mich. — Michigan pastors delivered 23,000 petitions this week to two state lawmakers who have urged Attorney General Bill Schuette to investigate Metro City Church for offering biblical teaching to teenage girls who struggle with homosexuality or gender dysphoria. “It is alarming that legislators, who have sworn an oath to uphold the Constitution, have attacked the free speech rights and free exercise of religion by a local church congregation, in direct violation of the First Amendment,” the petition, addressed to Rep. Darrin Camilleri (D-Brownstown Twp.) and Rep. Adam Zemke (D-Ann Arbor), reads. “Moreover, as government officials, for you to dictate what a local church must teach regarding its theology is totalitarian in nature, and is at the heart of what the Establishment Clause of the First Amendment was meant to prevent,” it states. 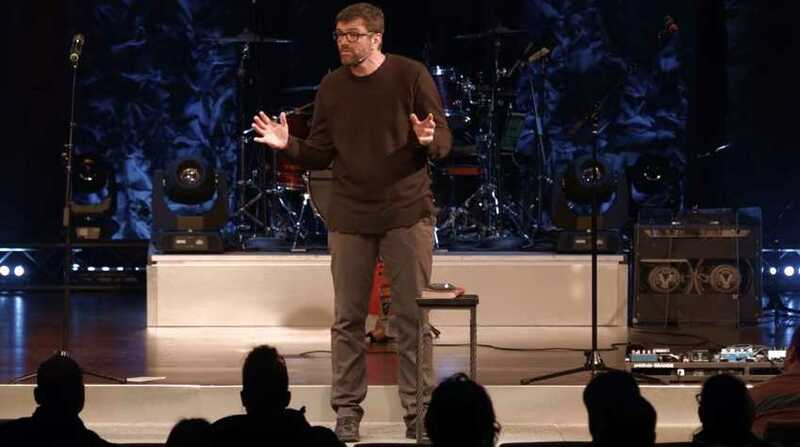 As previously reported, Jeremy Schossau, the pastor of Metro City Church, offered an “Unashamed Identity Workshop” in February, a six-week offering for girls ages 12-16 who are struggling with thoughts that they might be homosexual or transgender. “Does your child or grandchild struggle with sexual identity? Do you see the pain and hurt of their struggle but you’re uncertain how to help?” a webpage for the workshop read. “It doesn’t have to be this way. With God’s help there can be healing, wholeness and hope. Through thoughtful, relevant and biblical counsel we will help your girl be unashamed of her true sexual identity given to her by God at birth,” it stated. A number of homosexual advocates became angry after seeing a social media post about the offering and left threatening voicemail and email for Schossau. Schossau stated repeatedly during the ordeal that he was not offering conversion therapy, but simply talking with the youth, speaking the truth in love in accordance to the Scriptures as a pastor. “I think it is very sad that people are willing to yell and scream and be profane at people, but never actually talk to us to find out what we’re doing,” he stated. Hundreds of protesters also turned up outside of the church for two of the scheduled dates, holding signs such as such as “Self-hatred is not therapy,” “You can’t fix them; they’re not broken,” and “Love is love.” Because of the threats of violence, Metro City Church cancelled the workshop and took the event page off its website. Camilleri and Zemke soon wrote a letter to Attorney General Schuette, asking him to investigate the church for a violation of the Consumer Protection Act. “The attorney general is uniquely situated with the power and duty to prevent those that sponsor this workshop from targeting families and young people and scamming them out of their hard-earned money for a practice that has no basis in science,” Camilleri stated, according to the News Herald. Reps. Jon Hoadley (D-Kalamazoo), Tim Sneller (D-Burton) and Jeremy Moss (D-Southfield) were also signees of the letter. Schossau and others have found the move to be absurd. The Washington-based Family Research Council (FRC) launched a petition to Camilleri and Zemke, urging them to rescind their request for an investigation and to respect the rights of pastors to provide biblical counsel. On Tuesday, 23,000 signed petitions were delivered to the two lawmakers. “Pastor Jeremy Schossau’s leadership at Metro City Church has created a place that is governed by the precepts and principles of God’s word and is compelled by the love of God. The workshop offered by Metro City Church and FORGE Ministries was created to answer difficult and sensitive questions on identity and sexuality from a biblical perspective,” said Randy Wilson, the national field director for FRC’s “Watchman on the Wall” pastoral network effort. “Metro City is putting love into action by offering a safe place for teenage girls struggling with sexual identity issues from a biblical perspective not a personal opinion. For elected officials to call for an investigation into matters of the church is a gross violation of the First Amendment and government overreach,” he declared. As previously reported, Christians believe that all men are born with the Adamic sin nature, and have inherent inclinations that are contrary to the law of God, being utterly incapable of helping themselves. It is why Jesus outlined in John 3:5-7 that men must be regenerated by the second birth.